For this kindergarten or first grade math activity to go with The Tiny Seed, you will need a variety of seeds for each child or each group of children. (This is one of those times when it would be good to hit the clearance aisle at the end of spring and buy up seed packets that are on sale.) After reading The Tiny Seed, students will realize there are different sizes and types of seeds. Then you will provide them with a plastic baggy full of different seeds–colors, shapes, sizes, and types. You can practice counting, ordering, and grouping skills with your young students. Ask students to count how many seeds they have by ones. Then have them put them in a row, and count them by twos. Can they count them by fives? Tell students to put the seeds in order from smallest to largest or vice versa. This is more of one of the more open-ended first grade or kindergarten math activities. Tell students to group the seeds according to any criteria they want to use, but they will have to explain the criteria to you. So, they could group them by color, size, texture, etc. A flower's seeds blew through the air. There were seven seeds. Three seeds landed on the ground, and a squirrel ate them. How many seeds are still blowing through the air? Students can each work the problem at their desks or on a dry erase board after you have finished writing the problem together. Depending on your students' abilities with first grade and kindergarten math activities, you could have some of the children create their own word problems based on The Tiny Seed. Some kindergartners and first graders are ready for simple fractions to introduce the concept. You can use the story to make up some fraction problems. For example, on the chalkboard, draw two seeds. One of them gets burned by the sun; one is still flying through the air. What is the fraction of seeds that are still flying? 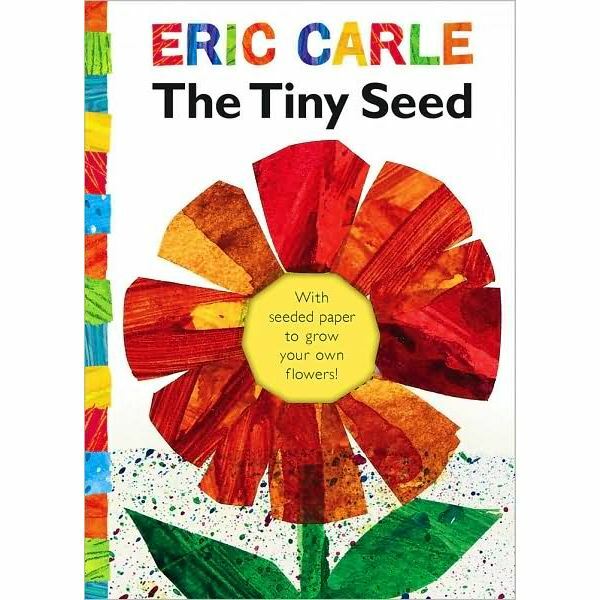 The Tiny Seed has a lot of first grade and kindergarten math activities that can go with it to make learning more fun for children and to build on the love of Eric Carle's story.